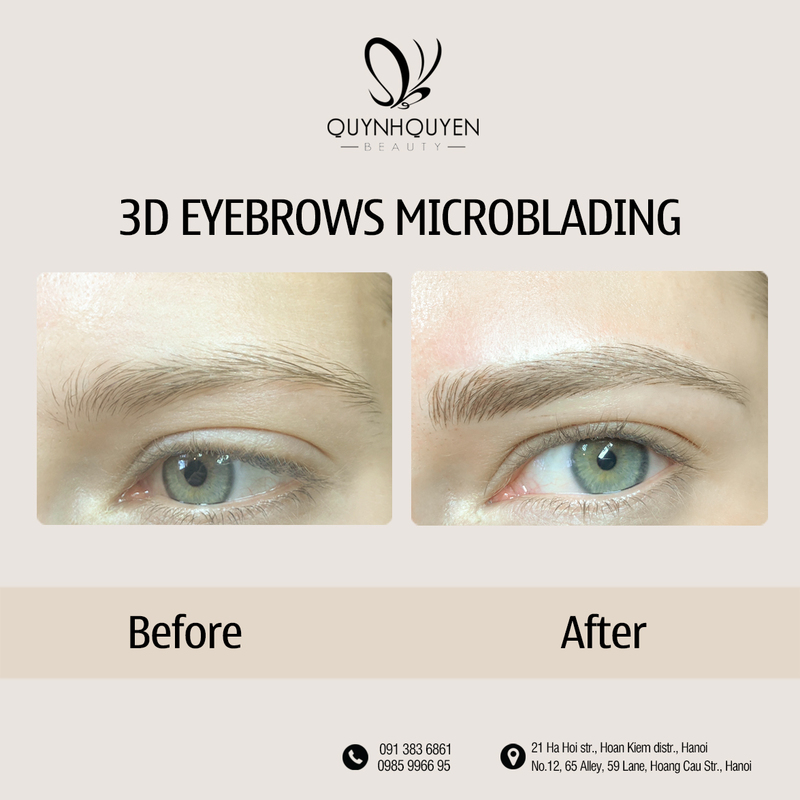 First, experts apply special high quality anesthetic onto eyebrows within 10 minutes. Then experts use specialized tool to imitate eyebrow hair precisely. 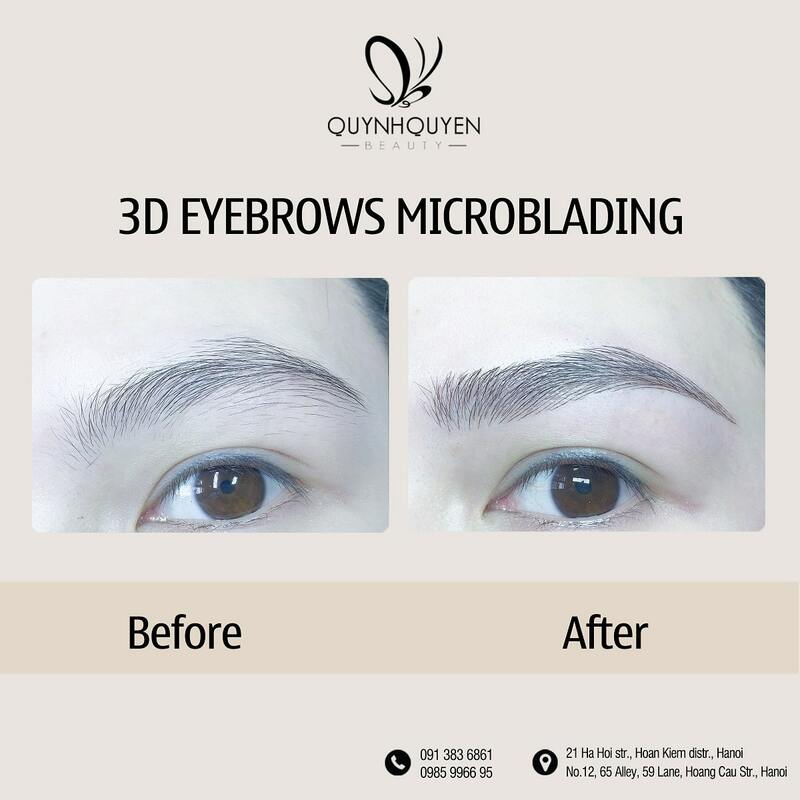 The line depth is only 0.2 – 0.3 mm so that customer will not feel hurt. 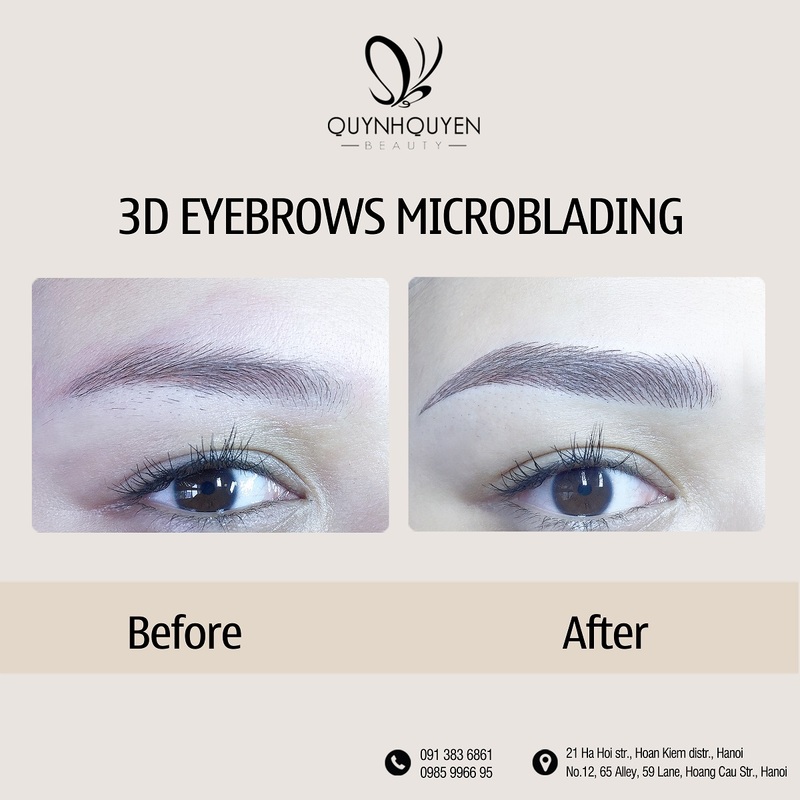 Finally, experts will incubate ink onto eyebrows and finish.